Just when you think the coast is clear this winter, it starts snowing cats and dogs outside your window – the first snowfall since last year. And you know what comes next – a busy morning of bundling up and shoveling all that heavy snow on your property. How we wish we could avoid it! But what if we said there was an easier (and safer) way to get the job done? Dare we say it: hire a contractor to remove the snow for you. 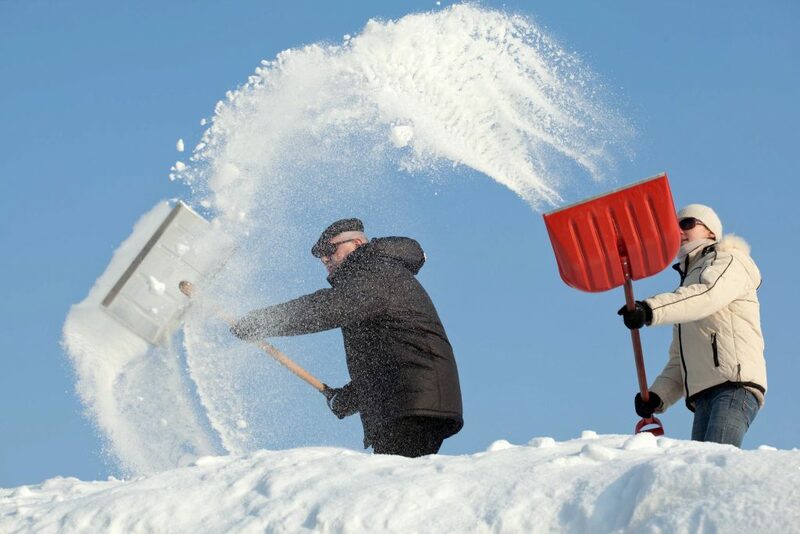 Shoveling is time consuming – sometimes it can take hours of strenuous activity. Most of the time, you risk throwing your back out or dealing with the backlash of achy knees once the task is done. Hiring a contractor to get the job done means you’re not alone in the cleaning up process. In fact, there are many more of them which means you don’t have to do any of the shoveling. When we talk about achy knees and a sore back, we aren’t just talking about pain – we’re talking about your safety. Might we also mention the danger that comes from slipping on ice or getting up on your roof. Snow needs to be removed for many places on your property, and a contractor has the tools, time, and practice to get it done in a timely fashion. We’re talking other household projects that you make time for. Shoveling snow is a distraction that can get in the way of those other projects. Why not ask for a helping hand so that all household tasks can get done in one day? If you’re in Fairfield County CT or the surrounding areas, contact Landmark Exteriors learn about roof snow removal. It’s just a small part of our Home Care division, which offers an extensive list of routine maintenance items like gutter cleaning and emergency roof repairs to keep you safe all winter long. To speak with on one of our professional staff members, give us a call at 203.838.3838.